How did Shakespeare in the Grove come about? 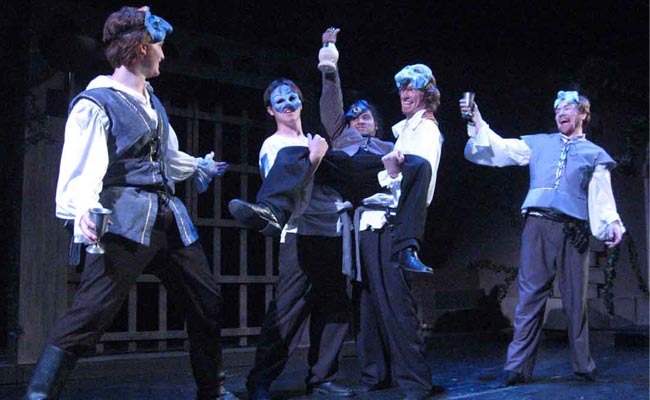 During my college days, I attended a Shakespeare Festival that was really amazing. One day, I was on campus, out back by the grove of trees, and it just came to me that this was a perfect setting for a Shakespeare play. We started off with four platforms and a meager budget, and I guaranteed the then provost (Tim Kerr) that we could get 50 people there and call it a success. Like the popular adage says, all you need is passion and a plank to do theater, and that’s what we had. I was thrilled that so many people came out that first night. Of course, then we got blown out with a storm, but the audience returned the next night, too! How has Shakespeare in the Grove evolved? I think the main idea with Shakespeare in the Grove was to make Shakespeare palatable to a general audience. We pruned each play down to two hours and presented them in such a way that people could understand them. My biggest thrill is when playgoers tell me they really understood what was happening on stage. We’ve done our jobs then. Today, our sets are more thoughtful with less wood and great improvements in lighting. We have a place to store equipment and even have a scene shop where we can build and store items as needed. And the audience has developed. We were a Top 50 event for the City of Chesapeake’s 50th anniversary, and it’s really true that people are looking for Shakespeare at TCC each June. We have people who come from North Carolina to Williamsburg to see the plays, too. How many different plays have you done? We’ve performed 19 plays to date; 13 have been different. Why should someone come to a Shakespeare in the Grove play? The number one reason is to see Shakespeare in action. With only three percent of adults routinely seeing a live play, we see this as an opportunity to introduce more people to live theater. After all, the audience is what makes the play and we have a diverse audience for sure – from Shakespeare buffs to students earning extra credits to families with youngsters running around. This atmosphere is what you would have seen during Shakespeare’s time. There’s really nothing like it around. The formality has been removed. Bring a lawn chair or blanket and enjoy the show! Who are the most memorable actors? Gendell, Brant Powell, Trey Clarkson and Brian Breshears. 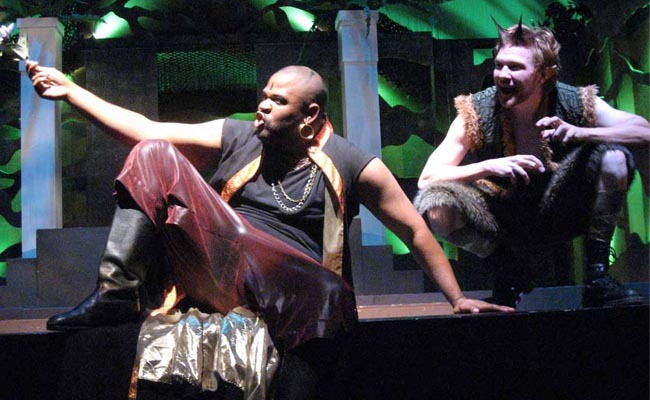 Trey Clarkson was one of the actors in the first production of “As You Like It,” and now he returns for the second year to direct the production. Clarkson is a high school theater teacher and adjunct faculty at Old Dominion University. Another performer, Laura Aguedelo, also a high school theater teacher, was a Grove actor and director in 2014. Russell Scaggs and Cary Nothnagel also acted in early Grove productions and went on to careers as high school theater teachers. To have former students follow in your footsteps is really gratifying. And as a side note, many marriages had their genesis at Shakespeare in the Grove! During the first production of “As You Like It” at intermission a thunderstorm came in and blew the set down. We got off to a stormy start that first year and had to call off the show. In 2003, during “Love’s Labour’s Lost,” we had two birds doing the mating ritual and they were so loud that it really interfered with the play. Interestingly, we were playing a love scene and the action of birds coincided with what happened on stage. When we performed “The Tempest,” in 2001 we only had one outdoor rehearsal before we opened. The stage was made of papier-mâché with lots of mountains to climb and it was all a little precarious. What are some of the challenges with rescue vehicles and jet noise? We’ve had fire trucks and helicopters traversing Cedar Road, and we developed a pattern to deal with noise distraction. 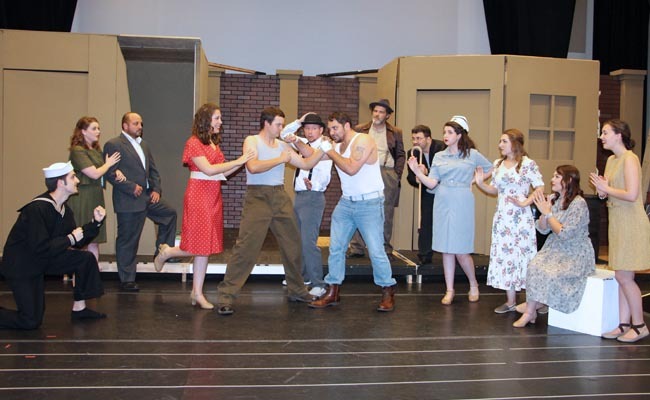 The actors simply freeze on stage and then we resume the action when the sound subsides. Did you ever dream 20 years ago that this would continue? I hoped that it would, but 20 years is quite an accomplishment really. I didn’t think it would last this long, but I’m certainly glad that it did. Average number of people per show? The biggest audience ever was for “The Comedy of Errors” in 1999. We had traffic jams around campus and the audience filled the entire area, with some sitting nearly behind the set! The second best was for “Romeo and Juliet” in 2006. Challenges with props and costumes? You have to be sure that props can easily be taken on and off stage. It’s a good thing that most Shakespeare plays don’t require many props, with the most needed for “Taming of the Shew.” Costumes, on the other hand, present endless challenges with the heat and wind, making things sticky and blowing around. How much time do actors, crew put in? It’s a five-week rehearsal period, with actors receiving the scripts about three weeks before we start. Rehearsals are four nights a week, for three hours. The week before the show we rehearse every night, so it’s a big commitment from the actors and crew. We begin in the middle of May and run through the last week of June. Most difficult Shakespeare play to perform? “Hamlet” is difficult because it’s complex, but there really is no easy play to do. Comedies are more difficult than tragedies because of timing, but we are always challenged by the outdoor setting and because the audience is very diverse. Most liberties you’ve taken with a Shakespeare play? 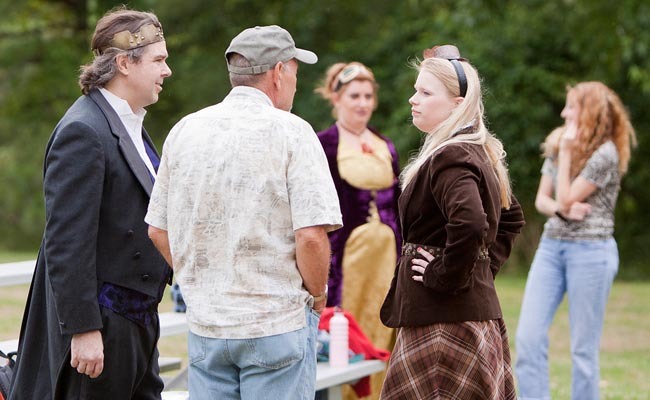 We did “Taming of the Shrew” in 2011 as a Western with all of the action taking place in a saloon. We took many liberties with this one and it worked well. 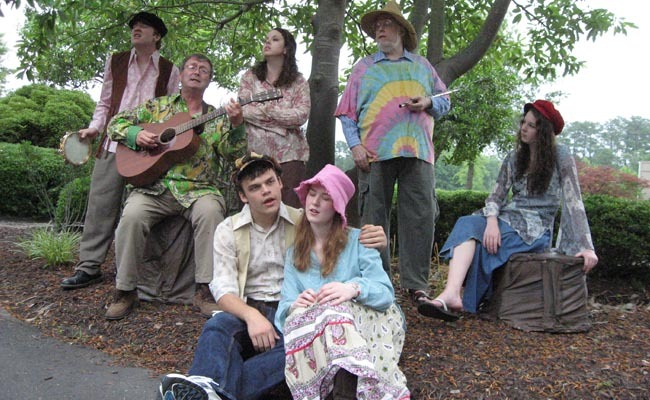 We also did “As You Like It” in 2010 as a hippie play, and we tried to put a modern spin on it, while keeping the story accurate. In 2012, we did “Hamlet” in steampunk. We had a great cast and we were able to do the difficult roles with good people. The set was industrial looking and it worked out well. We got a write up in American Theatre magazine that year. What’s been the hottest night? There have been some nights when weather has been a real challenge. Heat does affect the actors, and we have to be careful not to have bulky, heavy costumes. I can’t think of one night – it’s Chesapeake and the weather is always changing! We performed in the original Grove theater location every year except last year. This year we break in a new stage that is near the center of campus. The largest cast was 22 and the smallest was 18. Our actors and crew are students from grade school to college. We also have community actors who return year after year. We try to be inclusive and give people the chance to be involved in a Shakespearean production. Some come with no experience, others with a lot. What has been your favorite show and why? 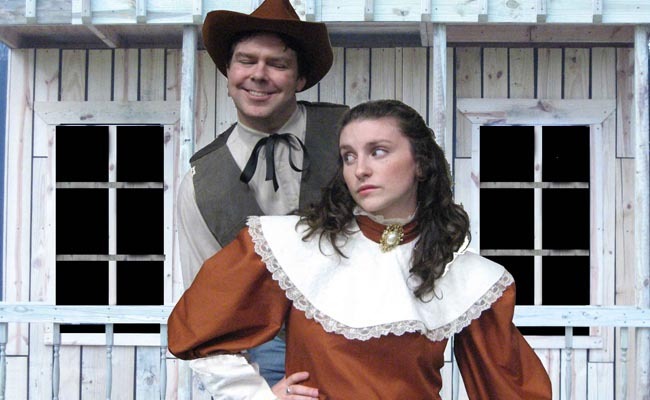 I enjoyed the production of “Taming of the Shrew” as a Western. It was incredibly well-received. 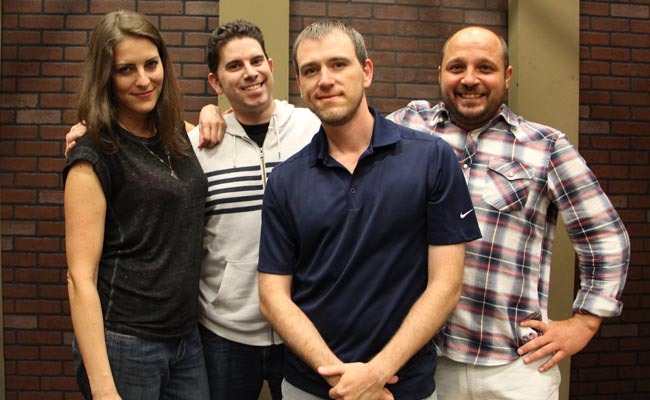 We had a great cast and a great time putting it all together. It was a perfect run and we were never rained out. Were you surprised to be named a Top 50 event for Chesapeake? I was pleased. I think we may really be one of the top four or five events. About 3,000 people come and see a show every year. It’s a great community gathering. And we get support from the Chesapeake Fine Arts Commission so we can keep admission free. What do you want for the next 20 years? We want to keep the audience somewhat intimate since the actors are not on mics. Going forward, I’d really like to see the actors get a small stipend as the time commitment is intense. Ultimately, we could do a repertory kind of thing and run it for two weeks. It’d be great to have two plays going on opposite nights. We’d have to run longer, but the goal would still be to build the event into an even bigger community event. 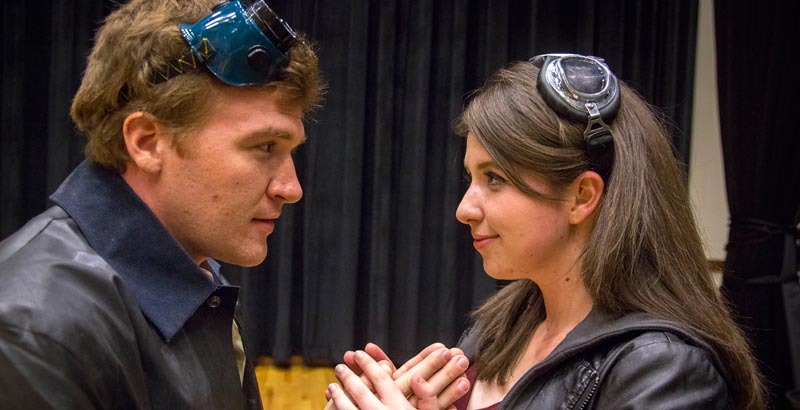 TCC Theatre celebrates its 20th season of Shakespeare in the Grove by returning to its roots with a new version of “As You Like It,” the first play performed in the Grove.